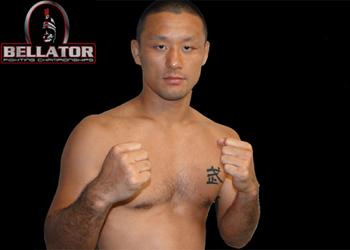 Fledgling MMA promotion Bellator Fighting Championships has added former UFC fighter Yoshiyuki Yoshida to its roster as it was announced earlier today that the welterweight will compete during Season 3. After riding a 9-fight win streak into the UFC, Yoshida was only able to win twice in five Octagon appearances which included back-to-back losses to Anthony Johnson and Michael Guymon before being released by the company. He will make his Bellator debut on September 30th against an unnamed opponent with the winner earning a spot in next season’s welterweight tournament. “For me, this is a new challenge,” Yoshida stated. “There are many great fighters in Bellator so I am really looking forward to this opportunity. Yoshida joins Bellator 170-pound champ Lyman Good, Dan Hornbuckle and last season’s tournament winner Ben Askren in the promotion’s growing welterweight division.